Sherline lathes and mills can be retrofitted to include a digital readout. Lathes and Mills can also be ordered new with factory installed digital readouts. This not only saves you the installation time, it saves a little money too, as you don’t pay for any of the parts like standard handwheels that are replaced in the DRO upgrade. 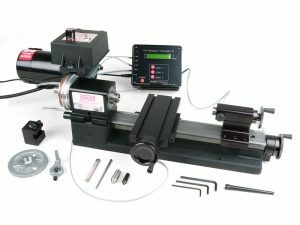 The readout can function with inch or metric lathes. In the metric mode, the position reads out to 1/100 of a millimeter. 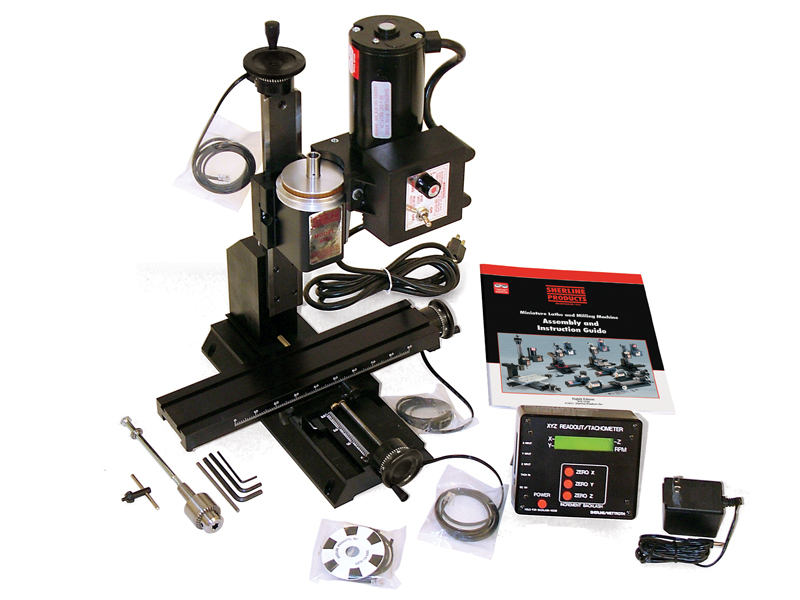 Lathes and mills can also be purchased packaged with a preselected group of accessories. See the page on Package Deals. Save time and money by buying a package. Digital readouts are now commonly found in most machine shops because they help reduce errors. It is easy to lose track of the number of handwheel rotations on longer travels, but that is not necessary with a DRO because you are working from, or to, a particular dimension on the readout. 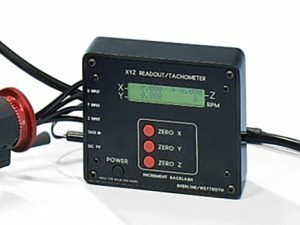 The digital readouts are applied to the leadscrew and the crosslide screw on a lathe, and they are applied to the X, Y and Z axes on a mill. The sensors read handwheel rotation and electronically translate that into table movement on a digital display that reads out to the nearest .0005″. Backlash can be compensated for electronically, also to within .0005″. The position of any axis can be reset to zero at any time with the push of a button. Because the movements on a machine of this size are relatively small and the precision rolled leadscrews are highly accurate, this system works very well while keeping costs down. In addition to reading the travel of all three axes, the readout box also provides a continuous readout of spindle RPM. NOTE: The DRO was not designed to provide a closed-loop system when used in conjunction with CNC; however, it can be adapted to fit on the rear shaft of stepper motors for manual use. See the DRO on CNC page for installation instructions. 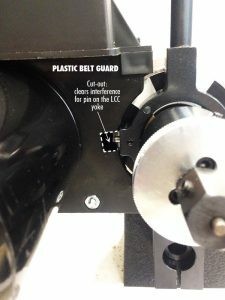 You might find possible interference issues between the LCC and the plastic belt guard. Please note that if you have a DRO Tach Sensor it will not work with the LCC. If the belt guard interferes with the pin on the LCC yoke make a small cut-out in the guard (see image on left). This can be done with an X-acto® knife or Dremel® Tool. These instructions are also available in PDF form. Download the P/N 1150 instructions using the link below.